Maintenance to prepare for winter…. Yup I said it winter, in the heat of summer and at the height of the fun I want to put a bug in your ear. Maintenance! You don’t need to actually do anything just yet but knowledge is power and I want to give you power. 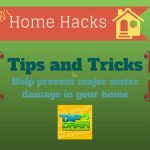 As you are well aware home maintenance doesn’t take holidays in fact problems usually arise just before your holidays, when you have other plans for your money and time. However, with just a bit of prep and help for your Nice Guy Plumbers at Tap 2 Drain, we can almost guarantee no unusual surprises. Now our techs are not genetically modified or have x-ray vision but they are highly trained and know very well the signs to look for in your home. The signs of an impending doom. Become a member of our Tap 2 Drain club then go back to enjoying the sun and fun. Why do you want to do this now? Well in a few months we will remind you it’s time to winterize and you still won’t have to do anything other than pick a time for our super tech to come to your home and take care of your winter maintenance for you. Easy peasy lemon squeasy! Plus you will get all the other super bonuses of being a Tap 2 Drain Club member like 15% off………just to name one awesome perk! Check out the T2D club page here or ask your tech. Home maintenance has never been easier! We don’t want you to ever have to experience a frozen pipe or have a hose bib split and leak into your wall. What a nightmare. 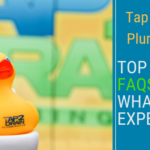 Your Tap 2 Drain family will always be there to help winter, spring, summer or fall we do it all!